In what may come as good news for taxpayers in the Interim Budget 2019, the government is likely to double the income tax (I-T) exemption threshold for salaried taxpayers from the present Rs 2,50,000 to Rs 5,00,000. Also, the government may reinstate tax-free status for medical expenses and transport allowances, providing some relief to the middle class already under strain since demonetization. At the moment, income up to Rs 2.5 lakh is exempt from personal income tax. Income between Rs 2.5-5 lakh attracts 5 percent tax (see table), while that between Rs 5-10 lakh is levied with a 20 percent tax. Income above Rs 10 lakh is taxed at 30 percent. Rs 5 lakh exemption is only applicable to individuals of over 80 years. A fatigued BJP dispensation realizes that as the incumbent it will have to fight off varied challenges. With acute farm distress, middle-class backlash, massive spike in unemployment data and rising Dalit anger taking its toll on the BJP, it would like to unleash a slew of course correctives. The 10 percent quota for upper castes was part of this process to appease vote banks. But this was an executive decision adopted by parliament, tinkering with the tax structure similarly is a legislative decision. 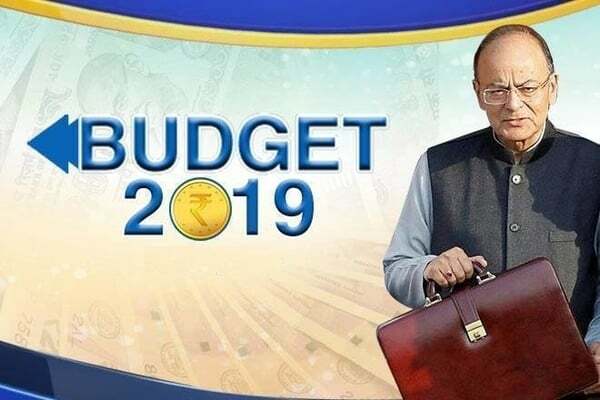 However, a problem that may manifest itself is that the Union Budget will precede the unveiling of the Direct Tax Code Report on February 28. Tinkering with the tax rates before the release of the report will make it contentious. The new Direct Tax Code will try to bring more assessees into the tax net, make the system more equitable for different classes of taxpayers, make businesses more competitive by lowering the corporate tax rate and phase out the remaining tax exemptions that lead to litigation. It will also redefine key concepts such as income and scope of taxation. In the 2017 Budget, Finance Minister Arun Jaitley had proposed to reduce the existing rate of taxation of those with income between Rs 2.5 lakh to Rs 5 lakh from 10 percent to 5 percent.